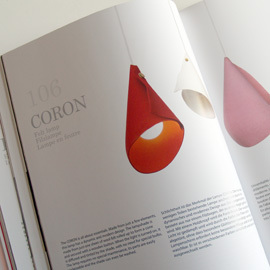 New website for designs by Nahoko Koyama - London based designer from Tokyo. Formerly known as a half of Mixko. Enjoy beautifully handcrafted items all made in England. As a part of four-seasons themed reception area, Volvox Krystal 07 lampshades have been installed at Google's new office in Tokyo (Roppongi Hills). Interior design by Klein Dytham Architects. 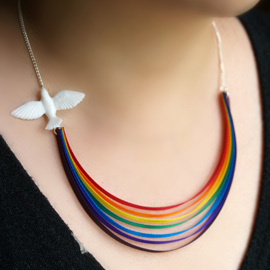 After the success of English Summer necklace, we've launched this rainbow, dove and the last drop of rain necklace. 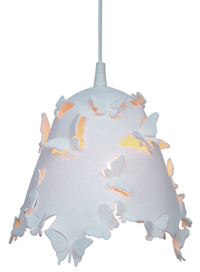 We design and produce our items in the UK. Materials are sourced within Europe. We love traditoinal method. A series of jewellery upcycled from plastic bottles. Created from unused, offcut yards of the beautiful fabric 'Heli', used as the border material on Japanese "Tatami" mats. 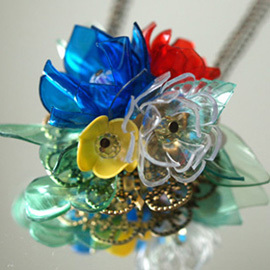 A series of jewellery made from up-Cycled PET plastic bottles. Rainbow with a white dove, and the last drop of crystal rain on the back.